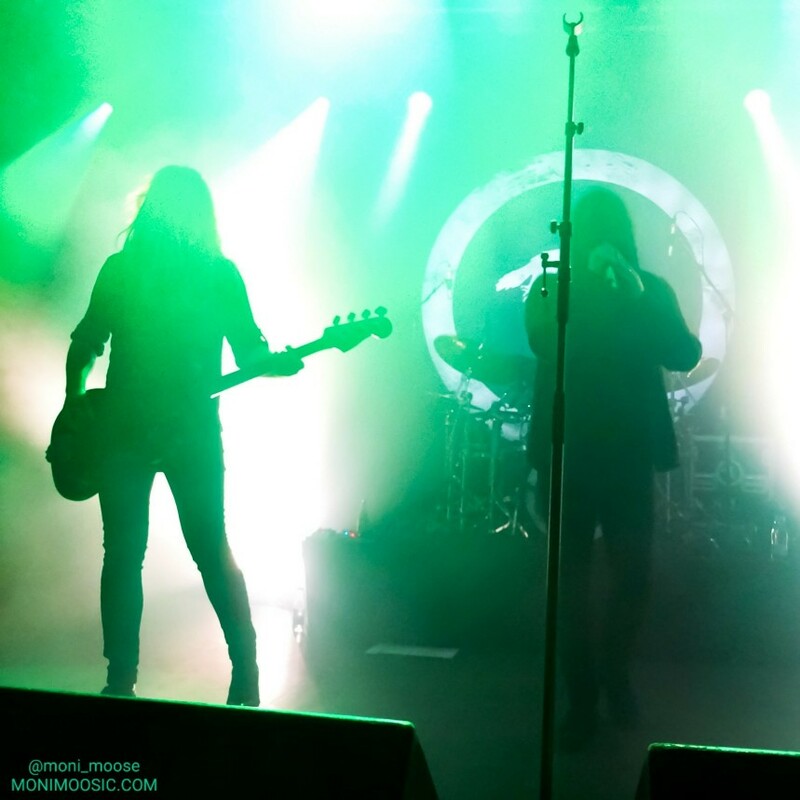 Even before the Swedes blew me away with two fantastic shows in August (read here) though, I had already subconciously made the decision that the best choice for this crucial day would be a ride to the Danish east coast, to see Katatonia in Aarhus. Said summer shows still in mind, and also having seen two Katatonia members with their side band Bloodbath just a week before in the UK, I was pretty excited for this gig! 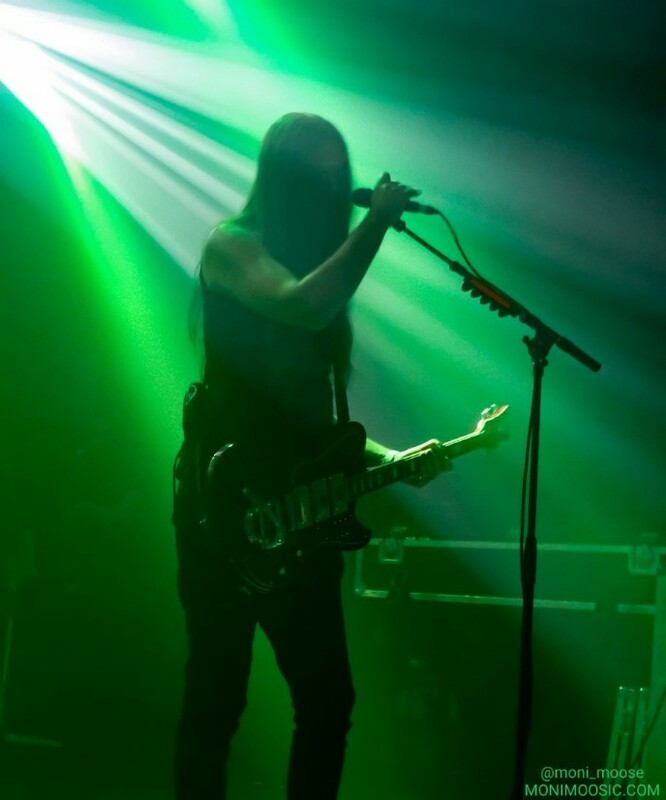 Fortunately, this changed as soon as I arrived at the venue just in time to hear Roger Öjersson lay down a brilliant guitar solo on the inside, as Katatonia had just started their sound check. My spirits were up again and the show couldn’t start soon enough! 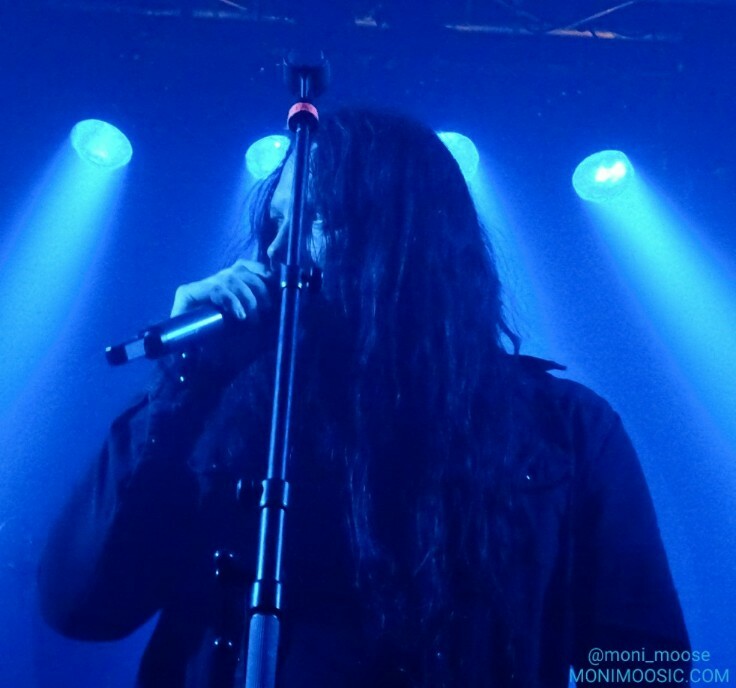 At last, some dark figures came on stage, who must have been Katatonia. 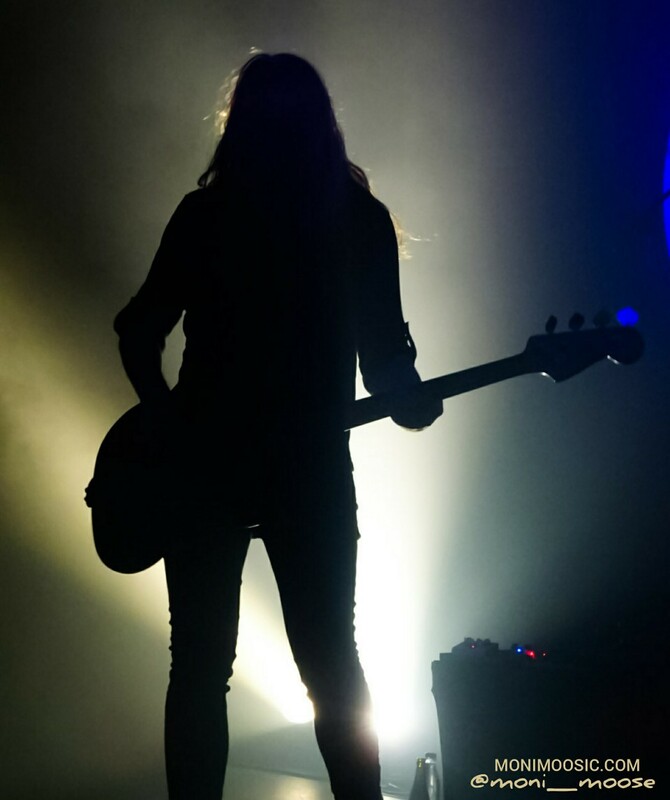 In their good old fashion, the lights on stage were low, just some wild flashes lighted the band from the back, so you could hardly see more than their silhouettes. After one and a half hours of standing right in front of Jonas Renkse, I couldn’t have told you what he was wearing… something black, that’s for sure! But who cares for clothes anyway? Katatonia played a fine selection of 18 songs from all the albums they have released in this century, with a focus of course on the latest album The Fall Of Hearts, but also (good for me) on my personal favourite The Great Cold Distance, which they recently played in full at a show in Romania. I remember a conversation I had a while ago with a well-loved guitarist who is used to playing big stages and who is quite famous for being very active on stage, jumping around, trying his best to get the crowd going, and so on. 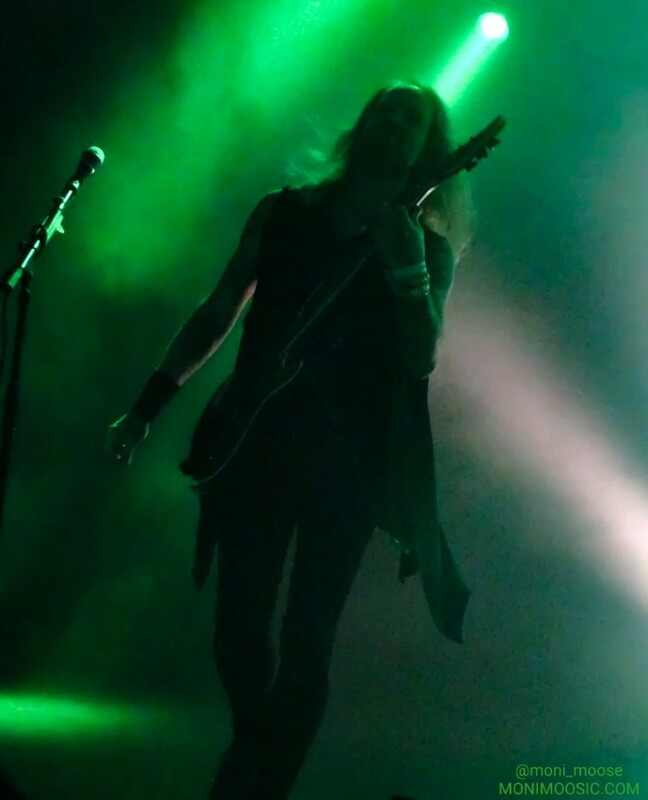 He outed himself as a huge fan of Katatonia’s music but doubted that it might be interesting to see them live because he expected, with the melancholic nature of their music, the shows might be a bit boring? “No, of course not!” was my answer, and the show in Aarhus proved exactly why my point stands. True, there might not be much going on in terms of ‘performance’. There’s some proper headbanging, and Jonas politely thanks the audience in between songs before he announces the next one (at least I guess that’s what he did… he talked Swedish all night, which might have been understood by the Danish but unfortunately not by that one German girl…), but that’s about it – no jumping around, no crowd animation, no rock star antics, just some black shadows banging their heads on an almost dark stage. Boring? Hell, no! 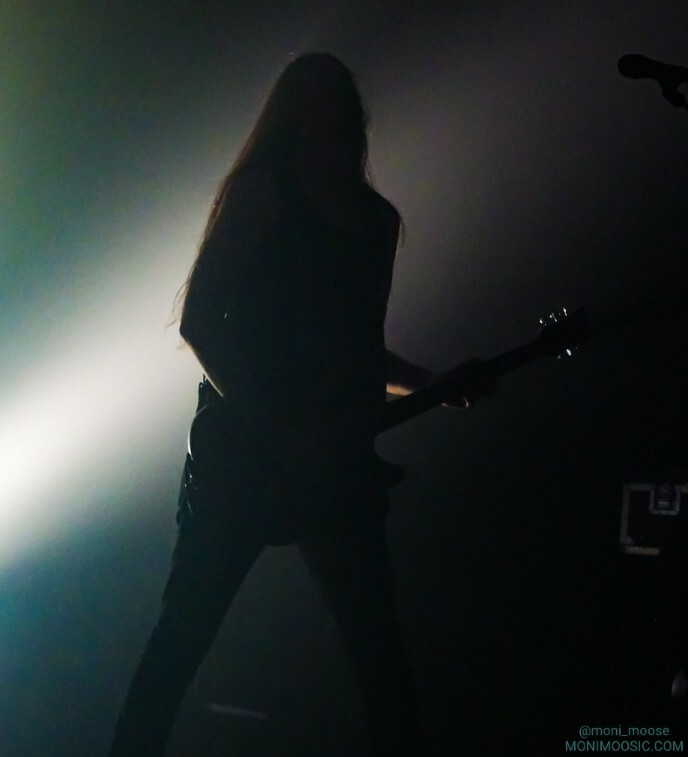 Because Katatonia don’t need anything but their music to captivate you. 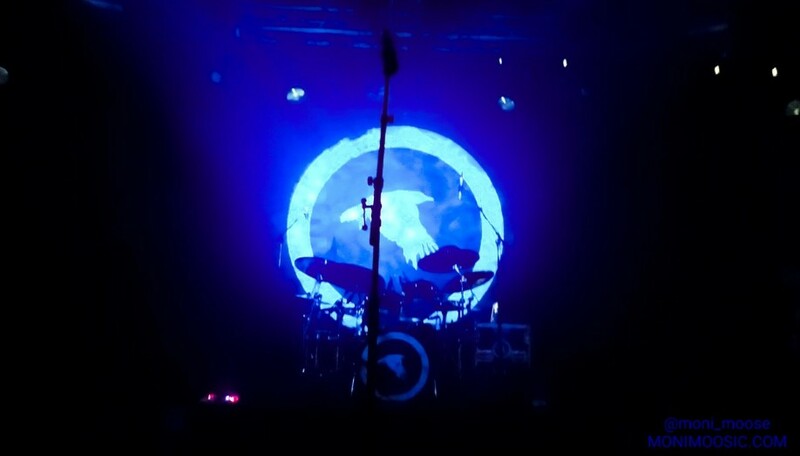 Not just because they are great musicians (I’d like to point out that being close to the stage made me discover some bits in the drum parts I had never noticed before – seems like David Moilanen is an excellent drummer!). Mostly because the emotional powers I talked about earlier are even stronger when you hear the music live! As nice as all those keyboard arrangements on the more recent albums may be, the live sound is a bit more guitar orientated than the records, and this gives the songs some extra spirit. The heavy riffs are more emphasized, the guitar melodies more vibrant. And then there is Jonas’ precious voice that is so soft and shy but so expressive at the same time. It’s quite unbelievable – the melodies are often so simple, sometimes they hardly consist of more than two or three notes, the poetical lyrics are punctuated with some really plain lines (which I love though! ), and Jonas is certainly far from being one of those over-dramatizing singers (quite the opposite…) – but somehow he makes everything sound incredibly meaningful. He sings ‘Was it all for nothing?’ on My Twin and you wanna burst into tears. He sings ‘We had plans but you couldn’t make it’ on Lethean and you wanna rip your heart out because it sounds so painful. I doubt that any soul in the venue was left untouched on this night. 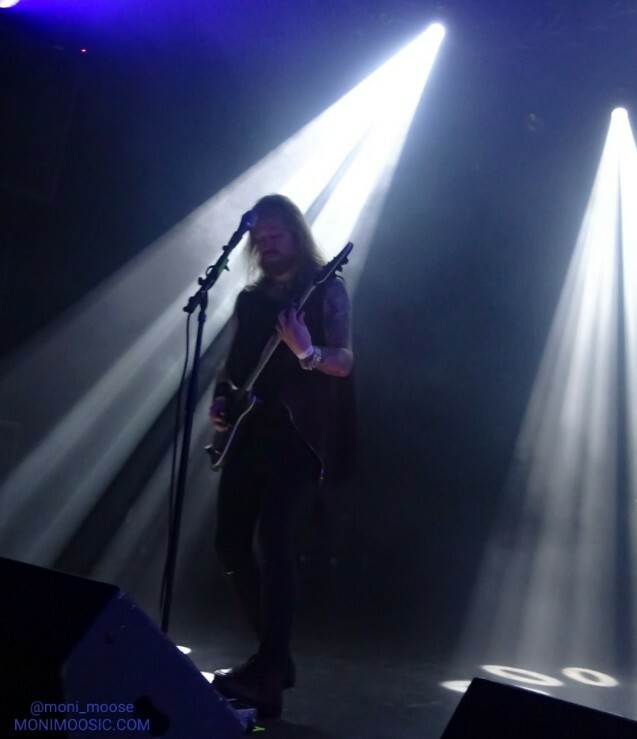 And as long as Katatonia manage to get those emotions across, you will certainly love the show, no matter what else is happening or not happening on stage. 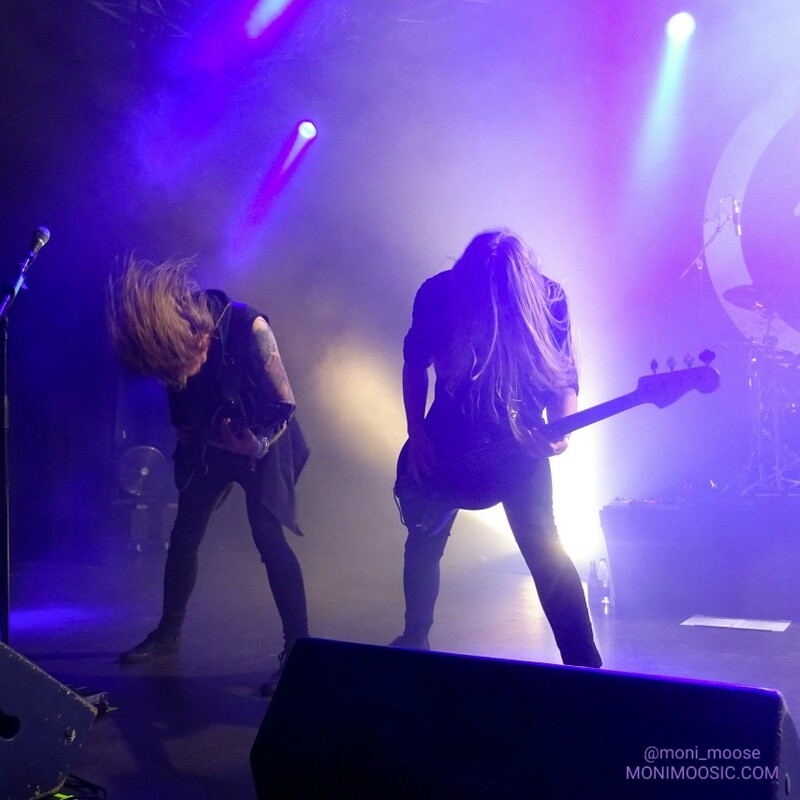 Unfortunately there won’t be so much opportunity to see them live in the near future; a new Bloodbath album is in the making, and after that a new Katatonia album will probably be due as well. But at some point they will be back on the road again, and that’s definitely something to look forward to!